The four magazine covers feature Jamal Khashoggi, Maria Ressa, the Capital Gazette staff, and the wives of Wa Lone and Kyaw Soe Oo. Time magazine unveiled its Person of the Year for 2018, honoring a group of journalists whose work has landed them in jail — or cost them their lives — "in the pursuit of greater truths." The magazine's editor-in-chief Edward Felsenthal announced Time's choice of "The Guardians and the War on Truth" on the "Today" show Tuesday, and revealed the four magazine covers featuring Jamal Khashoggi, Maria Ressa, the Capital Gazette staff, and the wives of Wa Lone and Kyaw Soe Oo. "Like all human gifts, courage comes to us at varying levels and at varying moments,” Felsenthal wrote in an essay about the selection. “This year we are recognizing four journalists and one news organization who have paid a terrible price to seize the challenge of this moment." In honoring Khashoggi, Felsenthal noted it is the first year Time has named someone who is no longer alive as Person of the Year. 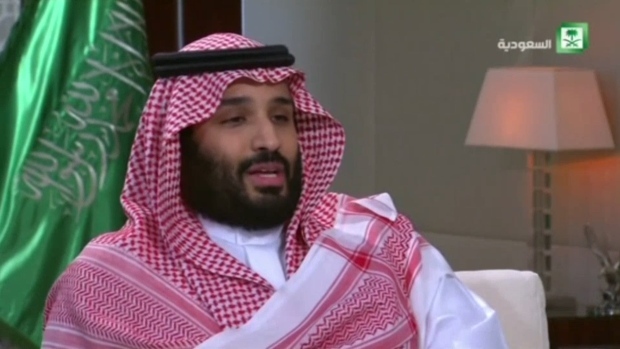 Khashoggi, who lived in the U.S. and wrote for The Washington Post, was publicly critical of the Saudi crown prince. He was killed in what U.S. officials have described as an elaborate plot at the Saudi consulate in Istanbul, which he had visited for marriage paperwork. Ressa is founder and executive editor of the Philippine digital news outlet Rappler and a vocal critic of the government of President Rodrigo Duterte. In return, she has faced several government lawsuits and threats of violence, according to The Associated Press. Ressa, who has worked with CNN, was the winner of two prestigious journalism awards this year, a Press Freedom award from the New York-based Committee to Protect Journalists, and the International Center for Journalists’ Knight International Journalism Award. The gunman who opened fire at the Capital Gazette newspaper, in Annapolis, Maryland, killing five people, had a "vendetta" against the paper over an article it published in 2011 about criminal harassment to which he pleaded guilty to. But, a day after the massacre at the Maryland newspaper, Gazette staffers "did what it has done since before the American ­Revolution—they put the paper out," Time said in a statement. The other two honorees, Reuters journalists Wa Lone and Kyaw Soe Oo, are now imprisoned over their reporting in 2016 on the brutal crackdown by security forces on the Rohingya Muslims in Myanmar’s Rakhine state, which, according to the AP, left hundreds dead in the massacre. The U.N.'s top human rights body has said that genocide charges should be brought against senior Myanmar military officers over the crackdown. The magazine said the four individuals and the lone newspaper symbolize something bigger than themselves. "They are representative of a broader fight by countless others around the world — as of Dec. 10, at least 52 journalists have been murdered in 2018 — who risk all to tell the story of our time," Felsenthal wrote in his essay. Other contenders on Time's shortlist revealed Monday included President Donald Trump, families separated at the U.S.-Mexico border, Meghan Markle, Russian President Vladimir Putin, special counsel Robert Mueller, "Black Panther" director Ryan Coogler, Christine Blasey Ford, March For Our Lives Activists, and South Korea President Moon Jae-in. Time has made the designation every year since 1927. Last year, the magazine's editors chose "The Silence Breakers," individuals who spoke up and sparked a national reckoning over the prevalence of sexual harassment and assault. Trump, who held the title in 2016 after winning his presidential race, was also a runner up in 2017. He claimed ahead of last year’s announcement that he was turning the honor down, tweeting that Time "called to say that I was PROBABLY going to be named" person of the year, if he agreed to an interview and photo shoot. "I said probably is no good and took a pass." Time disputed the president’s claim, calling his assertion "incorrect." "TIME does not comment on our choice until publication, which is December 6," the magazine responded in a tweet of their own.